The State exists simply to promote and to protect the ordinary happiness of human beings in this life. 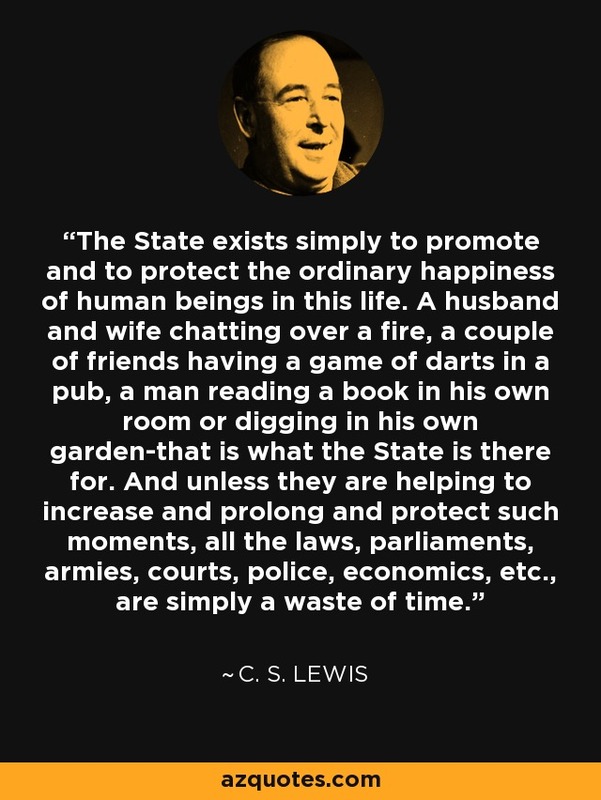 A husband and wife chatting over a fire, a couple of friends having a game of darts in a pub, a man reading a book in his own room or digging in his own garden-that is what the State is there for. And unless they are helping to increase and prolong and protect such moments, all the laws, parliaments, armies, courts, police, economics, etc., are simply a waste of time.